I have been doing almost weekly plate reviews of Moyou London plates since I first started using (obsessing over) them a few months ago, so I thought that for the time being I am going to review one Moyou plate per week, so every Monday on my blog will now be Moyou Monday. 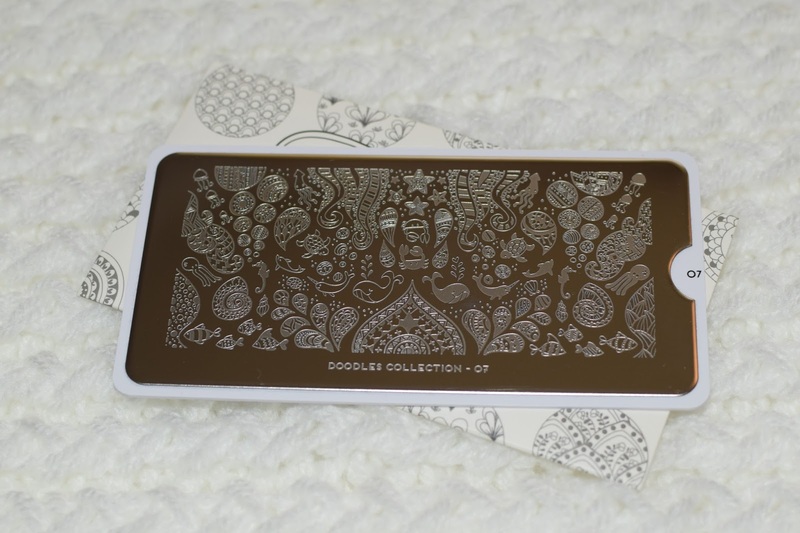 This week's swatch and review is of Moyou's Doodle 07 plate. I have a love-hate relationship with this plate (hate is too strong a word, because I don't hate it ever, but 'love-not-so-much-love' seems too wordy). This plate is currently my only '1 large design' plate by Moyou London. I brought this plate a while ago, and choose it because not only did I want to try a 1 large design plate but it is ocean/fish themed, and I love anything related to fishies. I love the adorable ocean themed designs. A nice variety of cute cartoon animals and doodle-style pattern designs. Several of the designs had a 'reverse' version, a full version and then a matching outline version (I would prefer that these were mirrored though). This can make some really interesting overlapping designs if you flip one version over. Great plate for picking out different elements and mix-match positioning them in different variations. I don't think I like the fact that it is a full design with smaller sections, I much prefer the regular and XL plates with individual full nail designs. 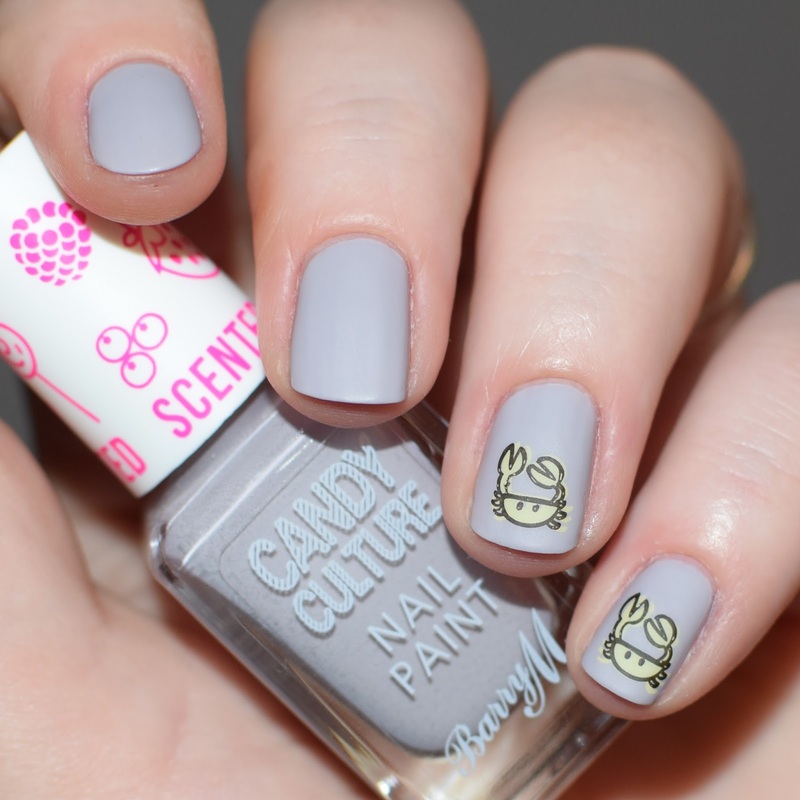 Only a few sections of the plate can work as a full nail designs, I'm not a fan of how the designs are laid out (too much blank space between elements). Sometimes I absolutely love this plate, but I do find it a bit of a hassle sometimes. 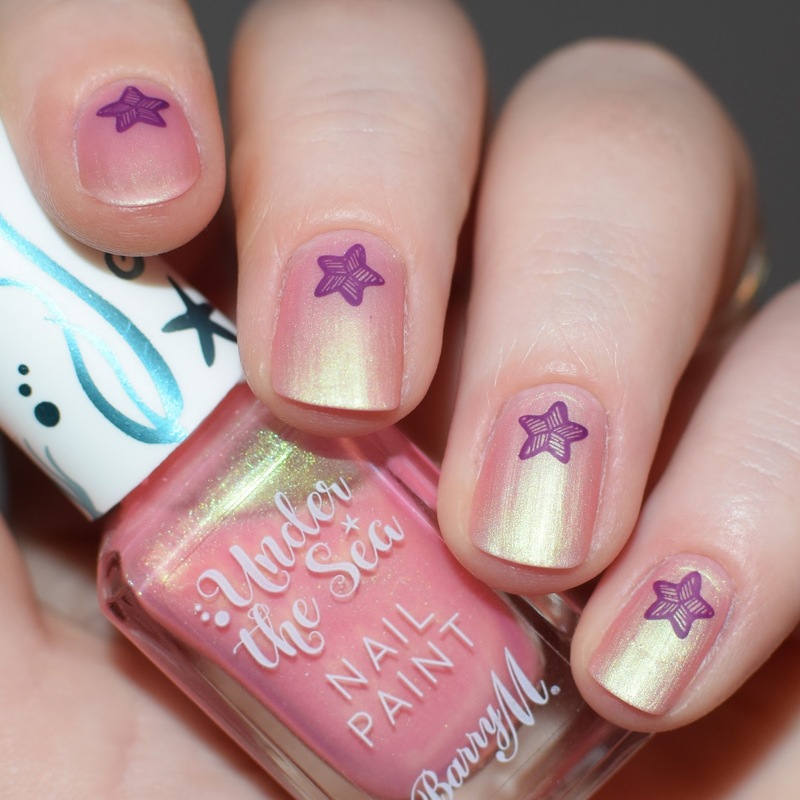 To make a full nail design (for example my fish nails) you have to individually stamp the little fish one-by-one, which is very time consuming. 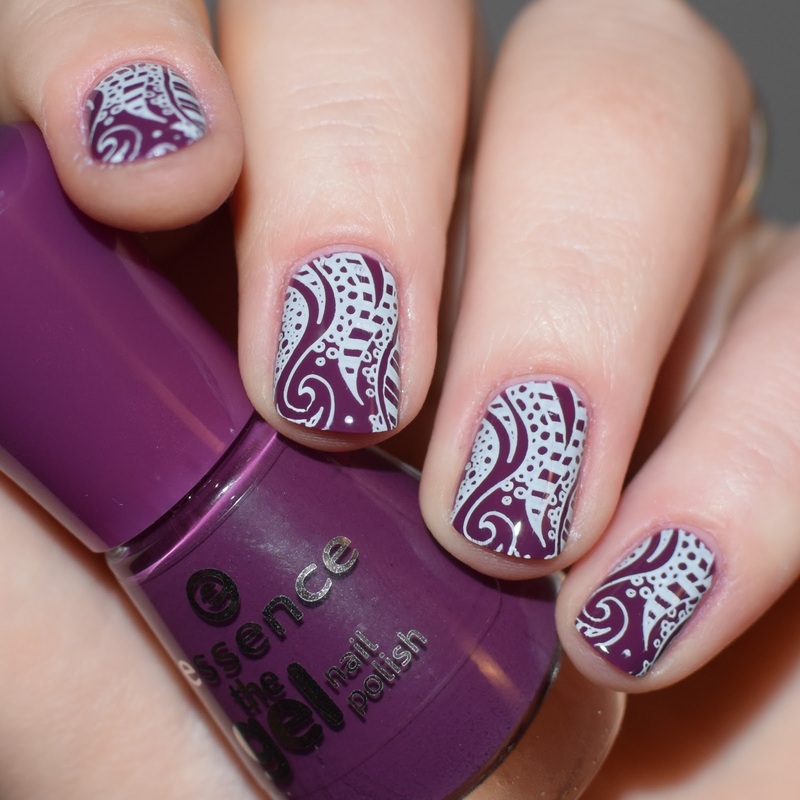 I would much prefer the quick and easy application of full nail designs. You can buy this plate here.